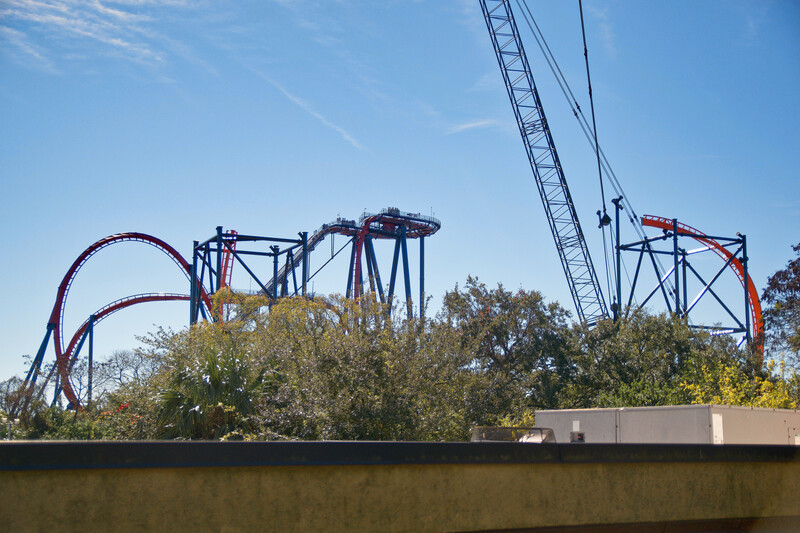 Sean: In today’s new Busch Gardens Tampa update we’ll be taking a look at the RMC construction/demolition taking place on Gwazi, the progress made on Tigris, the post-refurb changes on SheiKra, and lots more! First thing, GWAZI! Since it’s now confirmed that Gwazi will be a brand new RMC product, it’s time to start tracking the construction and demolition on this giant wooden coaster. 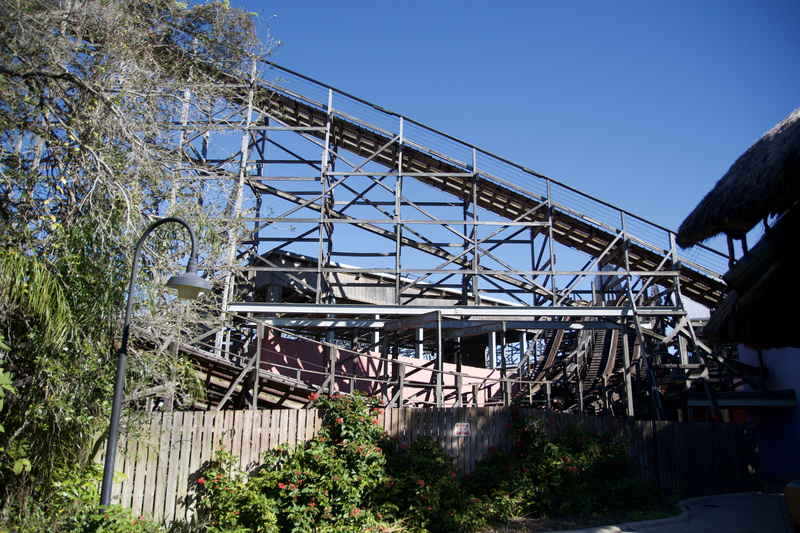 The front of the ride, particularly the main station building, look very rough. The good news is, we can soon expect some major changes. 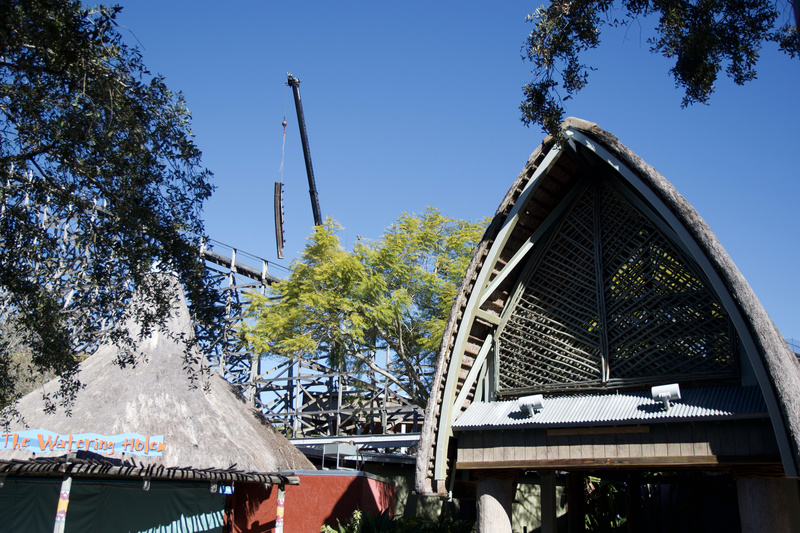 Rocky Mountain Construction is busy at work on the ride to remove existing track, to make room for new wood and steel to create a masterpiece. What kind of masterpiece? On to the next project at the park! 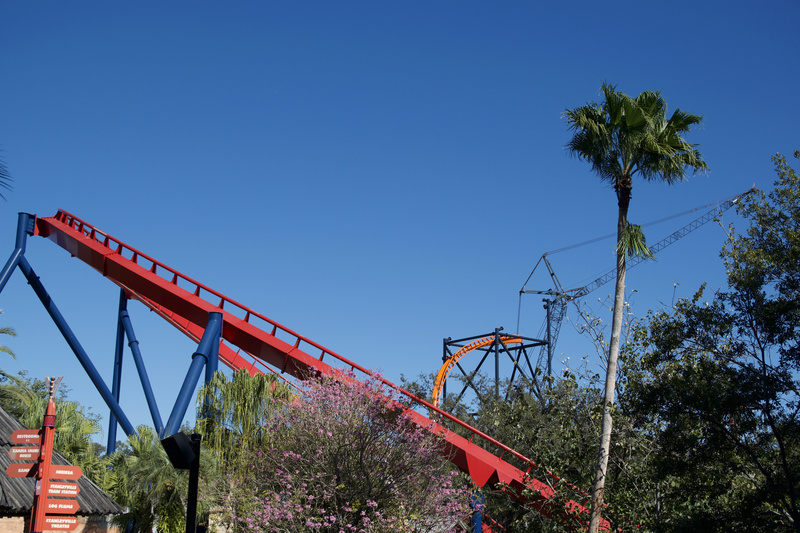 The Premier Rides Skyrocket II: Tigris. 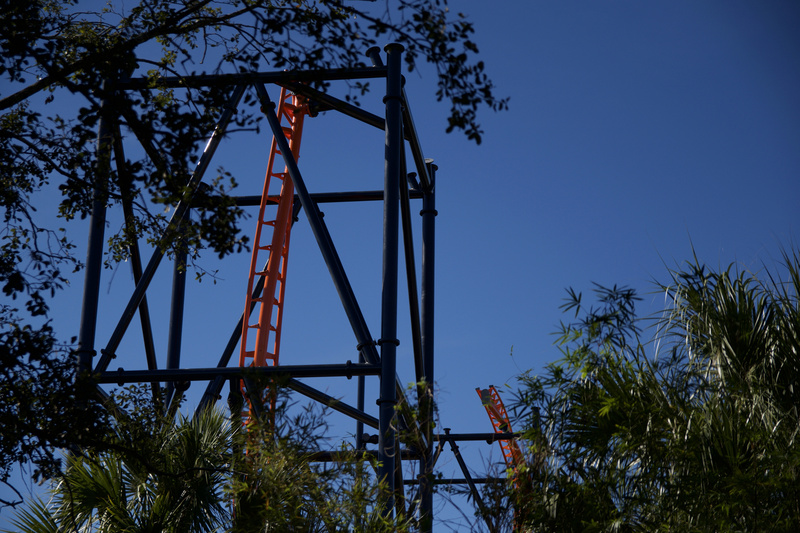 Scheduled to open this Spring, the inverting launch coaster is already reaching the sky. 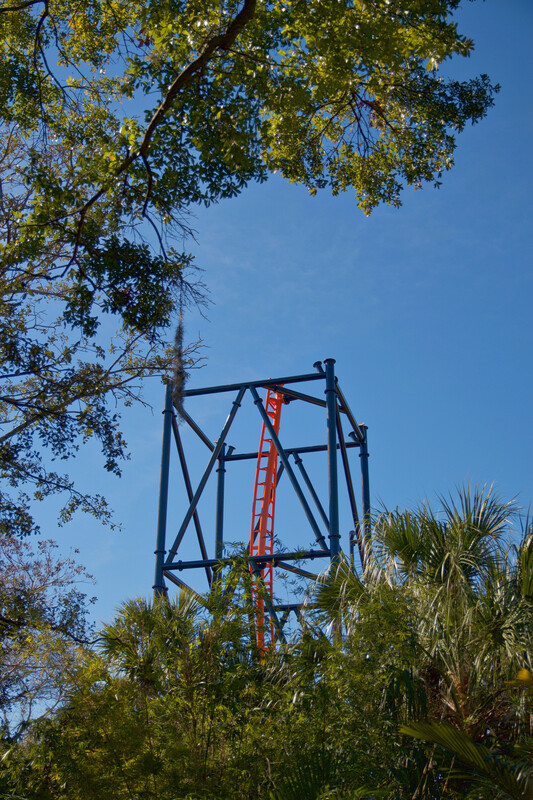 When taking a closer look it seems that the second half of the non-inverting loop is completed, as well as part of the superstructure that will hold up the vertical drop and non-inverting loop! 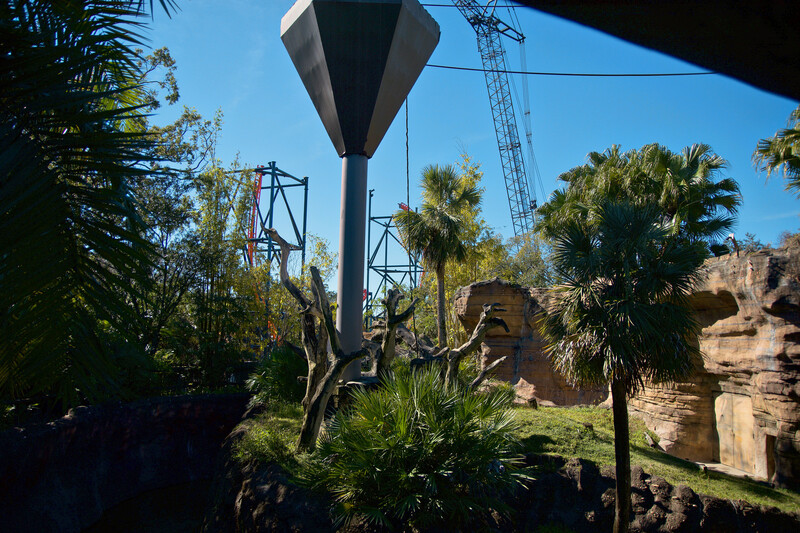 Back to Tigris where the half of the first tower is also completed, half of the inclining track at the beginning of the ride has also gone vertical. 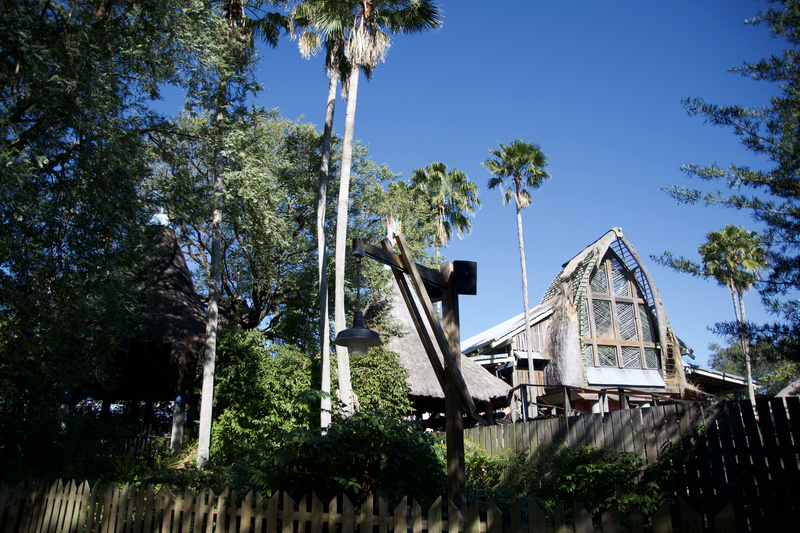 We’re already in love with the location in the park and the nice integration with the pre-existing vegetation. The colors itself of course are pure bliss. The colors just look so amazing in person! Soon we can look at monkeys, tigers and Tigris from Jungala! 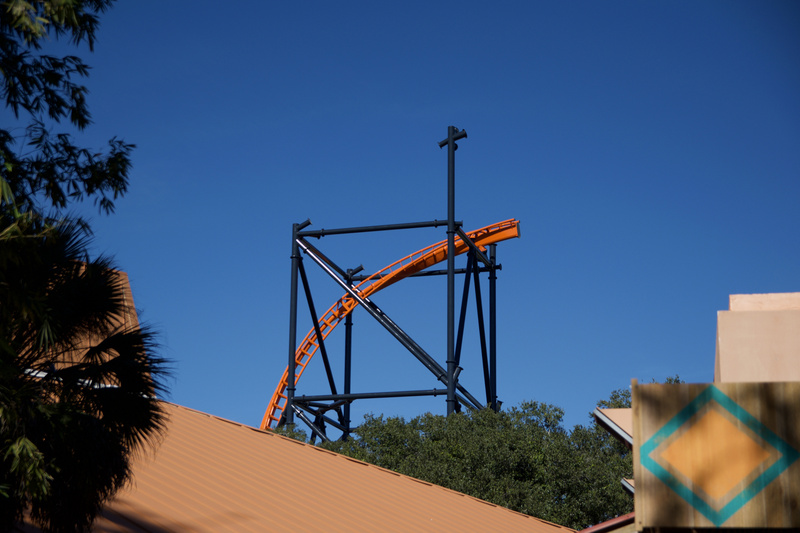 The ride won’t be taller than SheiKra next door, but it sure will compliment it nicely. 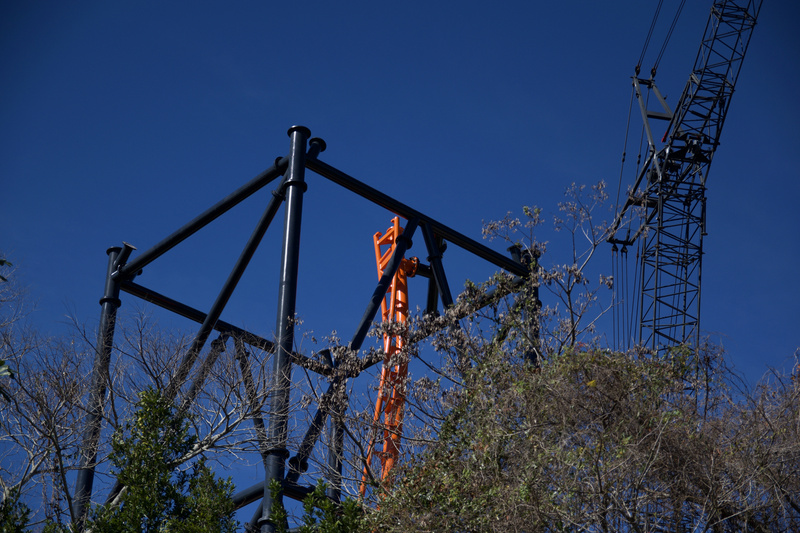 The following picture will give you a nice idea of how far into the construction process they are for the launch coaster. 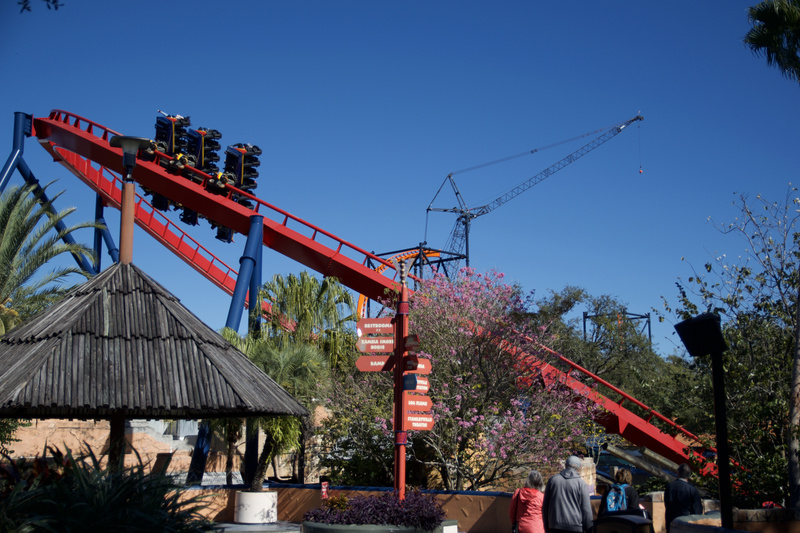 Make sure to head to page 2 of the update, where we discuss SheiKra’s reopening without the scoops below the train, ride refurbishments, and a lot more!